Hope you’re doing your best to beat the chill by layering up yourself! But are you doing justice to winter if you’re not adding Leather to your wardrobe? Owning either a Leather Jacket or a Leather Skirt and Leather Boots is a must. And to justify my Love for Leather, I chose to wear all the three together! 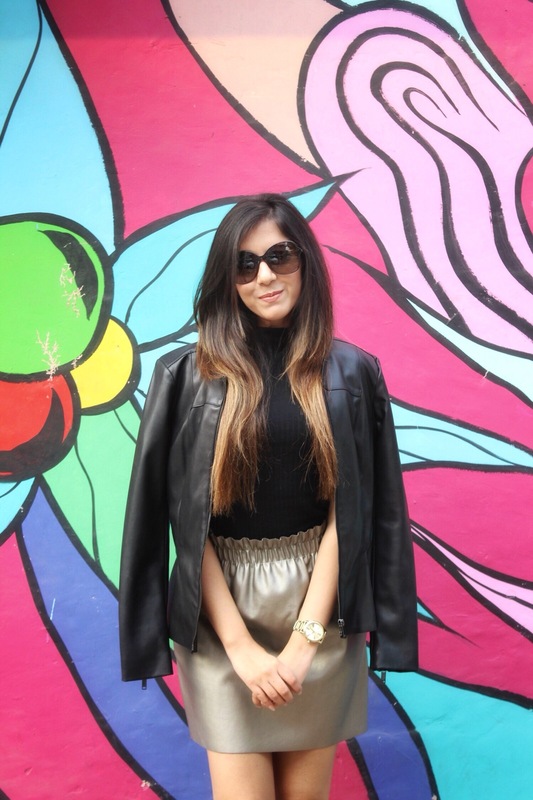 I’ve paired my metallic Leather Skirt with a black sleeveless zero neck T-Shirt. To give it an edge, I carried a black Leather Jacket along and wore my season’s favorite black Leather Boots! Would love to have your feedback on the look!